We have excellent opportunities to share our work and talk to other writers in Worcester, here’s some info on where and when. The spoken word events run by 42 Worcester the LitFest’s Worcester SpeakEasy and Dear Listener give opportunities to perform and Worcester Writers’ Circle is a well-established and friendly organisation for writers. Slightly further afield, but worth a mention, Arvon residentials inspire and give space to breathe and write with few distractions. We immediately issue an invite to your writers’ group, you never know, you might get up a fly / drive trip from Kingsville – maybe one day 🙂 Who knows? A big thank you to Tony Judge for reading my short story Antics at Worcester Writers’ Circle 17 July 2012. He got the voices of the gargoyles just right! Even though I wrote it, Tony made me laugh! Have to keep an eye open for that Literary Festival – thanks for the heads-up. 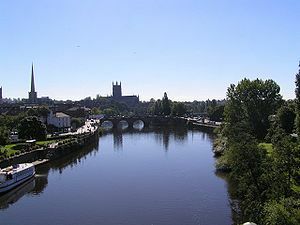 My Mum and step-Dad live near Worcester – I visited with them not too long ago. I was born in Birmingham, so not too far away! Lovely place to live, Freya. Do you get to Worcester these days? Sometimes – last time was at Easter and it was a glorious long weekend. We must have a coffee some time.